After restoring a 1972 MGB with my Father, the "bug" hit me and I felt like with all this knowledge I've acquired about the mechanics, pitfalls, and workings of MGBs I needed to put it to good use on another MGB. It was only a month after restoring the '72 that I found an early 1974 "Sabrina" MGB that was in pretty good shape. The body and paint were sound but like most MGs there were electrical issues and like most older cars, a lack of maintenance and attention. It just needed some love. After a winter of stripping down and replacing the interior, fixing electrical problems, tuning the carburetors, replacing and servicing the hydraulics, installing a new windshield, servicing and replacing the cooling system components, restoring the original radio, replacing lighting and gauges, servicing the suspension, and restoring other bits and pieces the end result was just what I wanted; a close-to-original MGB, that was great and I'm not afraid to drive and put it through its paces. I have gravitated to these cars because they are still fairly inexpensive to acquire and work on. The availability of quality parts from companies like Victoria British (at low prices) is amazing. My Dad, my friend and I just completed a 900 mile trip in our three MGBs touring Northern Nevada and Northern California. The cars ran great and we saw amazing scenery sitting at the helm of our 40 year old British Sports Cars. 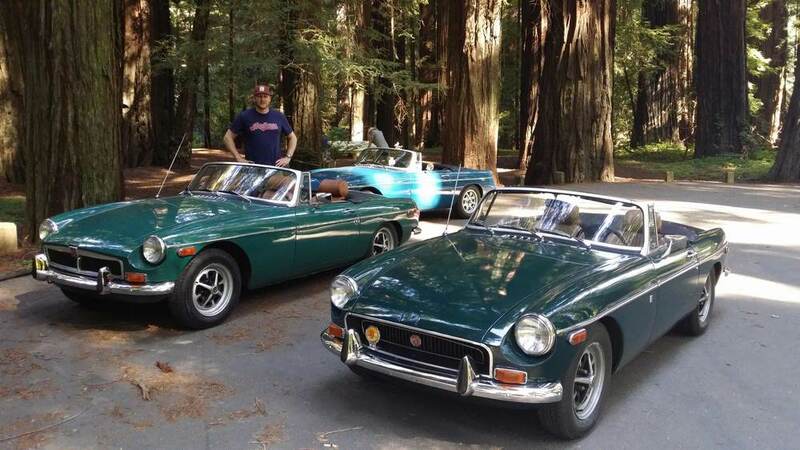 We're looking for our next adventure in the MGB!